Ahoy! It is Truffles, pillager of cat treats! Avast, me sweet wench, we may join you on the seven seas in search of of treasure. You are one cute pirate wench! Aaaaw Truffles yous loook so cute. Ye be a fine pirate princess, Truffles! Ye’re lookin' fine 'n jimdandy. Have a nip grog-filled Meow Like a scurvy Pirate Day. 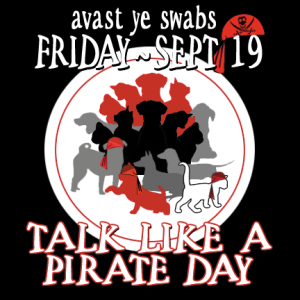 ye be one o' th' cutest piratecats we haff seen this day! fair winds to ye! 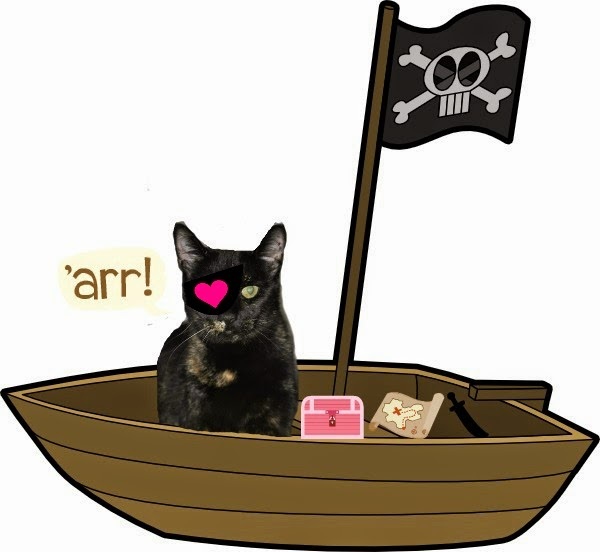 Yer doin some good meowin errrr talkin like dem pirates Truffle! Arrrrrrgh, Truffles, ye be darlin' wit' that heart eye patch, indeed! Arrrr sweet Truffles, me mum says she will give up some treats to your pink treasure chest!